On December 5, Mappy Hour launched in Denver at Black Shirt Brewing Co. We were stoked to meet fellow Denver outdoorists and talk about tiny living, moving into an RV or van, and reducing our environmental footprints. The night started off in the regular Mappy Hour practice of filling out name tags that display an outdoor activity you know a lot about and one you’d like to learn. Then, we heard from our speakers, Kathleen and Greg. Kathleen and Greg are the brains behind Tiny House Tiny Footprint, a website dedicated to living small in an effort to reduce environmental footprints and get outdoors. The couple owns a tiny house, lives in an RV, and is in the process of moving into a van. They dished the dirt on dealing with limited wattage, the pros of downsizing your possessions, and how to survive in an RV in the winter (sleeping bags and lots of insulation!). 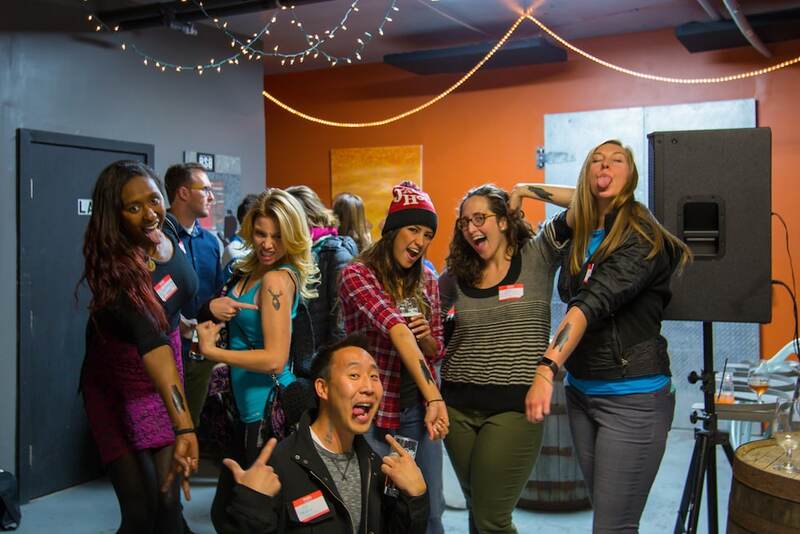 …and yes, as per tradition at Mappy Hour inaugurations, there were temporary tattoos involved. Stay tuned for the next Denver Mappy Hour, coming January 2017.